HÀ NỘI — Vietinbank ended their hope of defending their title, the VTV9-Bình Điền Cup, at the International Women’s Volleyball Tournament, after their loss yesterday. 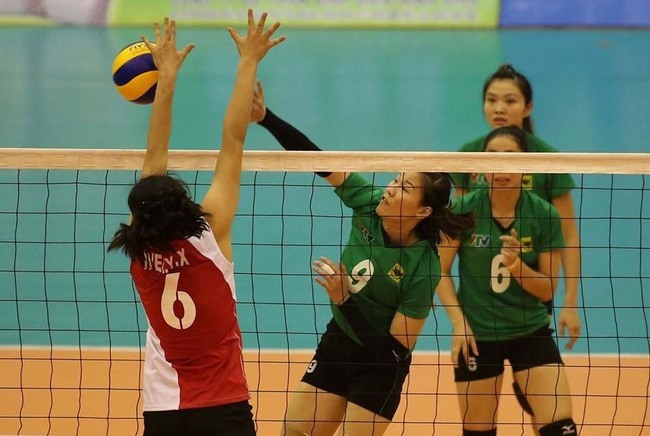 Vietinbank was defeated 28-30, 17-25, 17-25 by the North Korean 4.25 Club in a Group B match at the Tây Ninh Province’s Gymnasium. The loss means that Vietinbank will stay in the bottom position without a single point after two matches. They have no chance of advancing to the next round. The first qualifying spot in the semi-finals went to Thailand’s Bangkok Glass, who beat China’s Fujian Club 25-18, 25-22, 10-25, 25-18 in an earlier match. Second-place 4.25 and third-place Fujian will complete for the second qualifying spot in their meeting on tomorrow.